The title set up fee can be anything starting from £150.00 ($250.00) depending on the level of work required. There are also additional factors to consider, for example if you would like copies sent to you upon completion of publication, and if you would like your title included in the Ingram Advance catalogue, a one-time marketing opportunity. This depends on my current workload and the size and amount of work required to bring your manuscript up to a print-ready standard. If you have a near print-ready manuscript this reduces the time to publication considerably. Obviously if I have to manually scan every page of your book and recognise the text using OCR it is going to take a bit longer! You can realistically expect to see your book on the shelves within three to five months of acceptance of your manuscript, although it could be a lot sooner. At this time Inner Vision Press only provides limited marketing as mentioned above. Our main aim is to publish your book in a timely manner and give it the widest distribution possible at launch. The author is responsible for their own marketing stratedgy for example, organising book signings, radio/television/press interviews, advertising in newspapers/magazines, book reviews, distribution of flyers and leaflets, business cards, etc. although Inner Vision Press will support you and consult with you in this regard. Upon publication your book will be listed on major retailers web sites like Amazon.com, Amazon.co.uk, Kindle, Barnes and Noble, Waterstones, WHSmith, Blackwells, The Book Depository, Google Books and literally hundreds of independent book retailers online. Your book may also be ordered and stocked by bricks-and-mortar high street and independent retailers as well as schools, colleges, universities and libraries worldwide. Your book will also be convertd into ebook formats and available to download for e-readers like Kindle, Adobe, Nook, Sony, as well as iPad, iPod, and iPhone through the iTunes store. It pays me to pay you! The more books we sell the better it is for both author and publisher, and hopefully the whole world gets to benefit. When someone purchases a copy of your book, the order is sent through the distribution channels and the book is printed 'on-demand'. This means any number of your books can be printed and distributed at very short notice. The printed book is then sent directly to the customer/retailer and the sale is recorded. No. Your title is 'print-on-demand' which means it will never go 'out-of-stock' and will never go 'out-of-print', unless you decide to unpublish your book for some reason. This depends largely on you. If you are a first time author it is not reasonable to expect to sell a million copies of your book in the first year, although this is possible, it is unlikely! Inner Vision Press makes no guarentees as to the number of book sales the author makes. Having said that, if we decide to go ahead and publish your book it is because I strongly believe the author has something of value to offer to the world, and the author having made an investment in the publishing process feels the same way too. I would therefore realistically hope our venture would be a mutually rewarding one. Inner Vision Press pays the author exactly 20% of the retail price of all copies of their book sold through all retail outlets and distribution channels. How Often Will I Be Paid Commision? You will be paid either monthly or quarterly depending on the number of sales of your book. Sales are paid 90 days in arrears from the date your sales commision reaches $25.00 or greater. I will provide full sales reports and commision statements to that affect. You will not be under contract to Inner Vision. When Inner Vision Press agrees to publish your book I will send you a 'Publishing Proposal' which will be an informal agreement which will reflect commitment to the level of service I am willing to give you. If you accept this and Inner Vision agrees that your title is suitable for my list, we can then go ahead and publish your book. You will be the copyright holder of your work and you are free to publish your work elsewhere at any time. 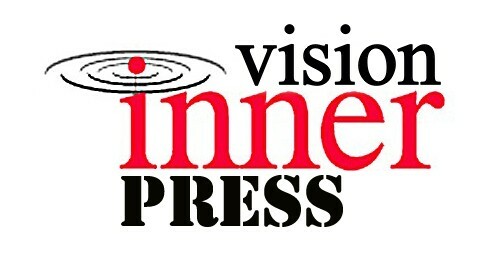 If you have written a book or are near completion and would like Inner Vision Press to consider your title for publication please contact me to discuss your requirements. You may contact me by email or you can use the 'Contact Form' on this website. Alternatively you may send the complete manuscript or a few sample chapters along with a short appraisal of your book, to the above address. Please include details of any marketing/promotional opportunities you can provide and a stamped, addressed envolope if you would like your manuscript returned to you. Copyrights Inner Vision Press 2012.
book to write about his or her life experience. can still list your titles with online publishers anyway. cost, which some publishers do not offer. web site, blogg or social network. looking forward to the next sales report. book promotes itself when you set it up affectively. them on eBay for charity. When I first printed my manuscript, it was only 78 pages. And I will want a signed copy of course! publishers prefer new titles that are not self published in advance. about it... so it is a swing and a roundabout you have to way up. colleges and universities and bricks-and-mortar retail outlets. paper sourced from wholly sustainable managed forests. networking and submission to all the major search engines. scale exposure in the book market. Freedom lover, nature fan, mother and friend of the Earth, Linda West connected a code while studying the Mayan calendar which won her a scholarship to spend time with Terence McKenna in the rainforest of the Mayan ruins in Mexico. While conducting research on the Mayans, the calendar, and the science of frequencies, Linda began receiving messages from the Great Spirit of "White Eagle". Linda says she was asked to write down her breakthroughs and experiences and make them into a book for all mankind to share as we approach the end of the Mayan calendar and take the first steps towards a new more loving era in Earth's history. "It was foretold that at this time we would be receiving gifts to aid in the coming evolution of our world. One of these gifts is the remembrance of the Universal Science of Love, also known as Frequency Attunement. Frequency Attunement is a universal integrated spirit/science, which acts as one of the foundations of creation. It is what we call intuition, or our sixth sense. Frequencies are the subtle unseen vibrations which make up all of creation. They are what compose matter, thought, and energy. They are a measurement of the God-force. This book is meant to simplify the use of frequencies so that you can use this knowledge in your everyday life. You will discover how you can wield the Ultimate Power, and manifest your own personal miracles... This book will transform your life !" Linda West. Clearly written with deep insight, Linda West's book Ultimate Power:The Universal Science of Love is a must read for anyone looking for guidance, healing, inspiration and enlightenment through the use of frequency attunement. Welcome to the world of Frequencies! Twenty years ago a series of life changing events led Matt to write "Enlightenment for Beginners" which became the basis for forming his own company Inner Vision and were the beginnings of his enlightenment. At the age of 21, as a way of trying to heal his own trauma and psychology, Matt began taking notes which would later be typed up into the manuscript and published into the book you are reading today. Inside Enlightenment for Beginners, the author guides us gently and clearly through learning to cope with our feelings, mind, body and spirit, attracting a love partner, forgiveness, the psychology of personal repair, meditation, the law of psychosomatics, the seven chakras, aura, your pseudo soul or ego, the feminine principle, goal setting, finding your purpose, principles for decision making and living your purpose wholeheartedly, plus many more chapters for those serious about their own personal development and spiritual growth. 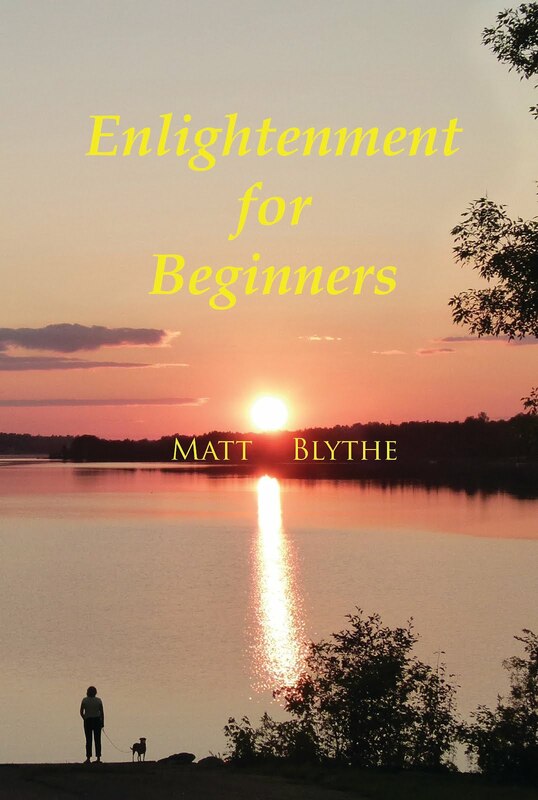 Complete with informative and simple diagrams, exercises and quite a lot of humour, Enlightenment for Beginners is the essential handbook for anyone from those wanting to improve the quality of their life, to those embarking on their own personal enlightenment. The cover art is a collaboration between Matt, Laura (the photographer), her three daughters and friend Noor, and Noor's friend's dog "Sandy" all of whom are pictured in silhouette! In some sense this is a family portrait, as Matt says this picture depicts his mother figuratively standing on the shores of the mainland UK with her dog Todd whilst looking over to the Island where Matt lives. Apart from the cover and some minor editing this version is identical to the 1st Edition, both of which are dedicated to his mother. "The aim of this book is largely reparative. I wrote it myself during testing times both emotionally and financially. The principles and aphorisms contained herein became a staff for me at the time and many of these formed the basis of the belief system that supports my psychology. They transformed the most chronic of problems easily and became the cornerstones and building blocks for a brighter, more positive future. Enlightenment for Beginners aims to educate and enlighten you, increase your awareness and give you an expanded view of what we call life. I hope to share this knowledge with you it comes from the depths of my awareness. With understanding and a solid foundation every problem we encounter becomes a way of extending ourselves and transforms into a gift. Having had formal training in electronics and after fourteen years as a relationship coach, workshop facilitator and student/teacher of A Course in Miracles, Matt feels now is a good time to share his Wisdom with the world.